Stormdry is a BBA approved deeply penetrating water repellent cream for brick, stone, and concrete. 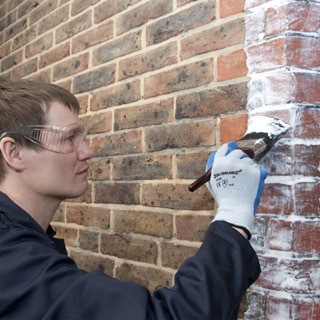 Due to its cream-based formulation it is able to penetrate more deeply into masonry than standard liquid-applied brick sealer products. 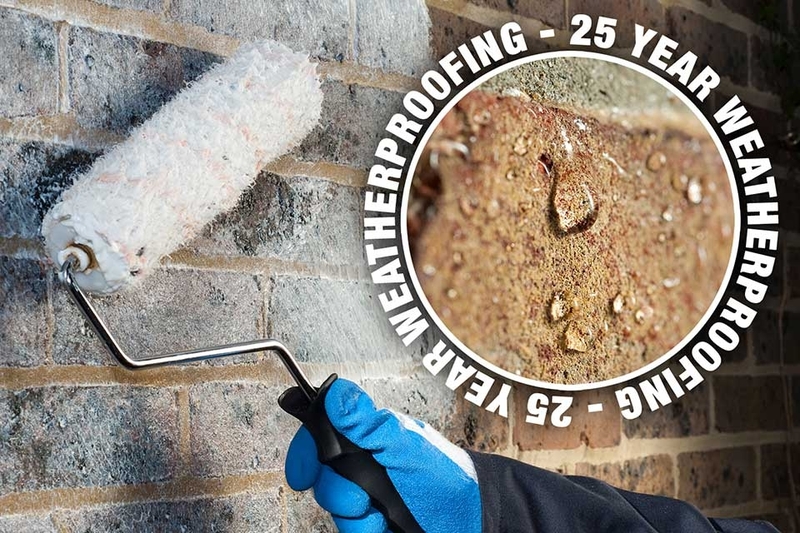 Just a single coat of Stormdry Masonry Protection Cream protects walls for 25 years. 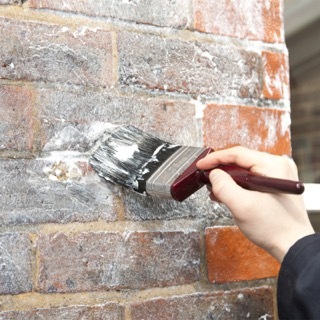 Once fully cured, Stormdry Masonry Protection Cream does not change the appearance of your wall. Returns to original appearance with no texture of colour change. 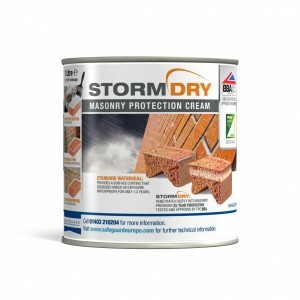 Over its full lifetime, a coating of Stormdry Masonry Protection Cream provides reliable protection. 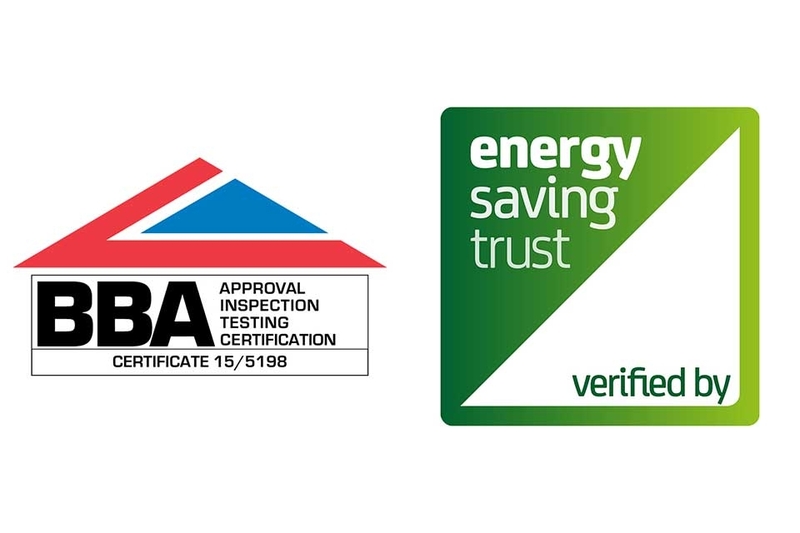 Stormdry Masonry Protection Cream has been both approved by the BBA and verified by the Energy Saving Trust. 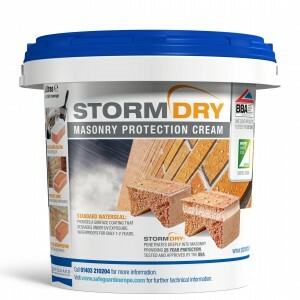 We’re proud to say the Stormdry Masonry Protection Cream is a Safeguard product. 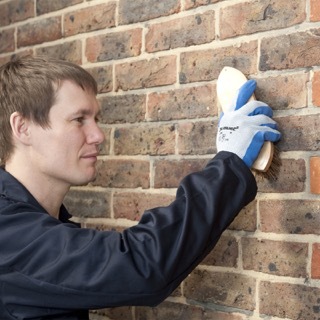 Remove any loose mortar, dust etc... using a masonry brush. 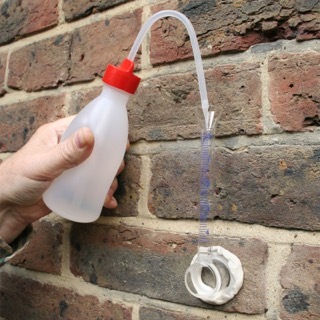 When biological growth such as moss, algae or lichen needs to be removed, apply SoluGuard Multi-Surface Biocide in accordance with instructions. 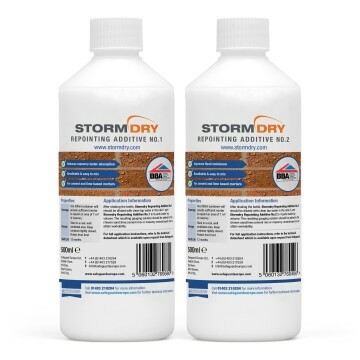 Stormdry can be applied by brush around details such as windows. 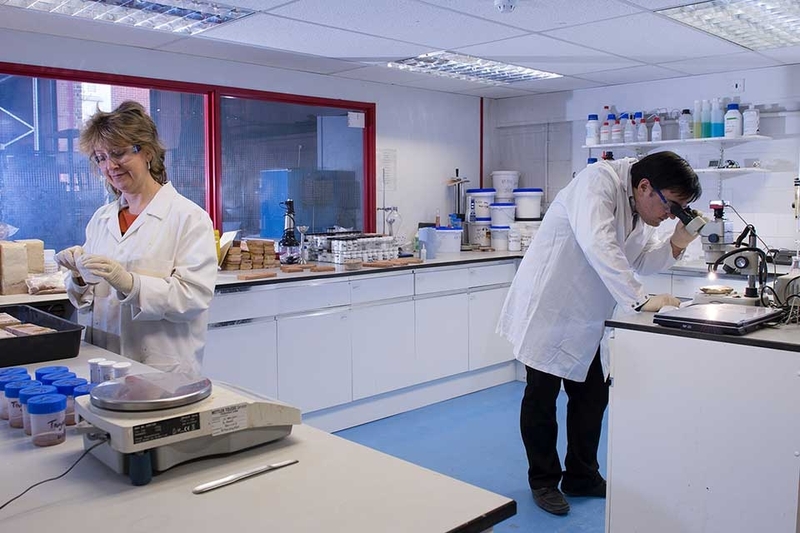 Care should be taken to ensure that Stormdry does not splash onto glass, paintwork, plants, etc. Any splashes should be cleaned away with warm soapy water. Larger areas can be covered more quickly using roller application. 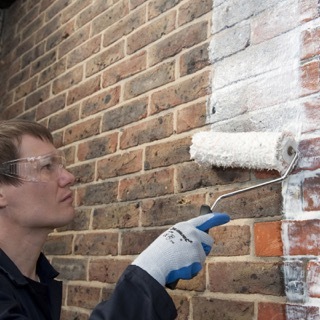 Stormdry can also be applied by electric roller or airless spray – call our technical department for details. Check for any “missed” areas that have not been treated (e.g. 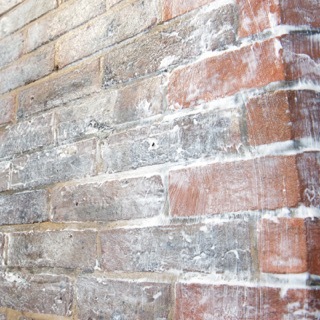 voids in brickwork, deep mortar beds) and apply Stormdry to these areas using a brush. Stormdry appears white immediately after treatment – making it easy to tell which areas have been treated. 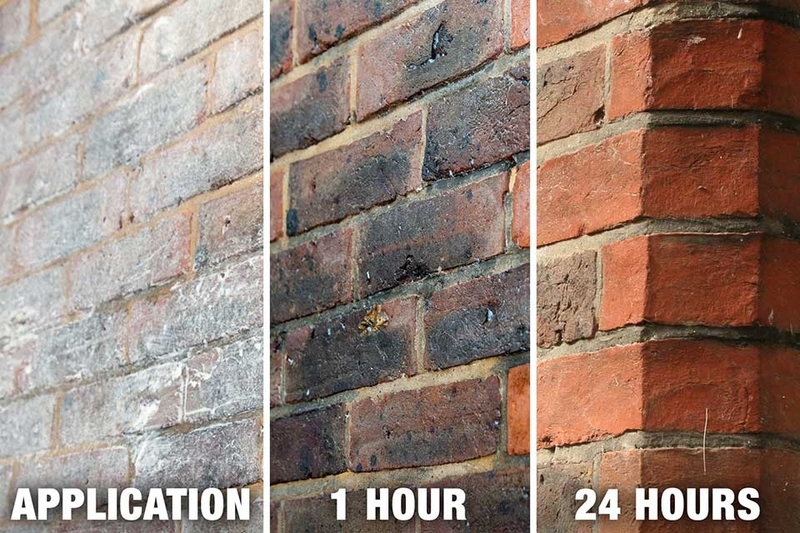 15 - 20 minutes after application, Stormdry starts to penetrate into the masonry and the whiteness will fade. After 24-48 hours the wall will have returned to its original appearance. 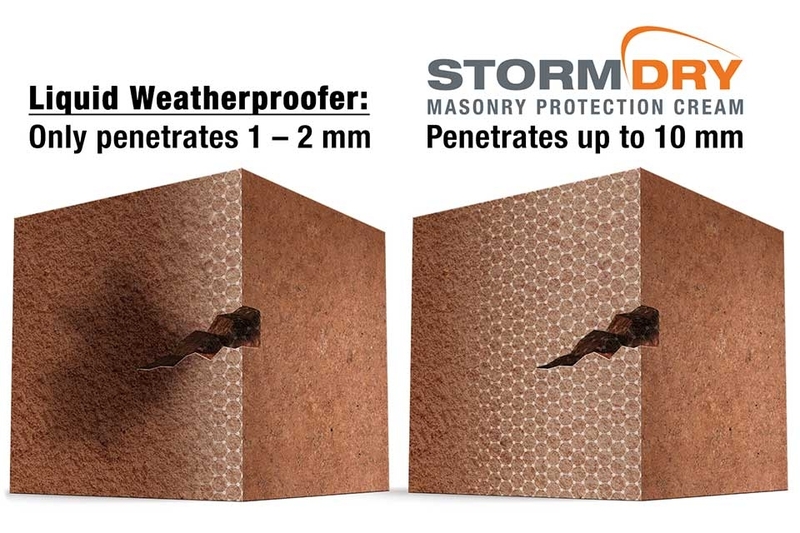 As Stormdry is formulated to penetrate deeply into masonry it can take up to two months after application for a noticeable “beading effect” to appear when rainfall strikes the wall. 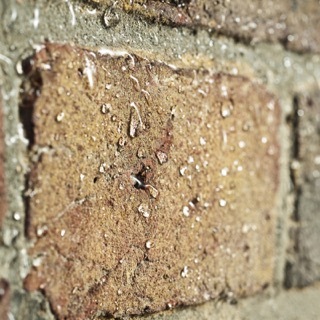 The masonry will be resistant to light rain after two to four hours. 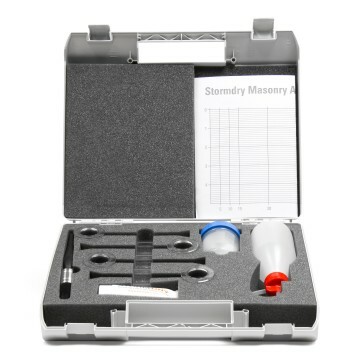 A Stormdry Gauge can be used to demonstrate the effectiveness of the treatment. 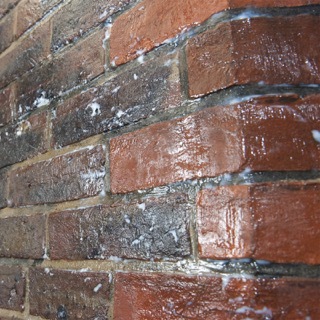 The test should be carried out at least 28 days after applying Stormdry which allows the water absorption of the wall before and after treatment to be compared. Easy to use product. Too early for results to comment. The 5 stars are for efficiency in handling the order and supplying the product. It's been applied but I will not be able to say anything else until it starts raining .......................! I have only used a sample of Masonry Protection Cream but but this worked week and I am confident the product purchased will fit the bill. It did what it said on the tin. Did what it says on the tin. Great product, easy to use, non-sheen, repels rain at the moment, time will tell for how long! I have recommended this product to others. Good coverage. Too early to tell if it's worked yet! Product does not meet the coverage advertised so far more was required that originally estimated. 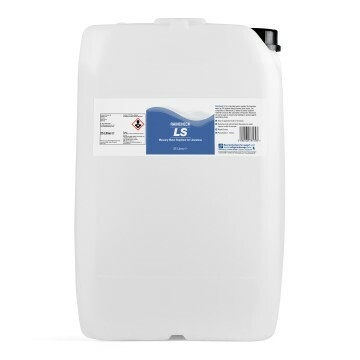 Additionally, the 3l product is £79.99 in Wickes and over £100 on the Safestore website! As expected, having already painted 10 lt this applied the same. 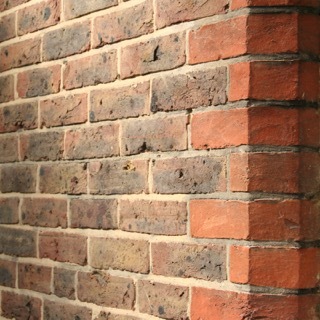 Since the first batch it has rained and therefore brick work was now slightly damp and paint went further. Applied 13lt of paint on 40 sq meters. Could not achieve 5 lt to 25 sq meters. Have used in the past and was very pleased so am doing another wall now. Great to work with you can see where you have been, pleasant smell and a non drip product. Watched the rain forming beads of moisture and running down the surface yesterday. Great! Always arrives on time. Great Service. After years of a damp gable end of our house, the problem has been solved. 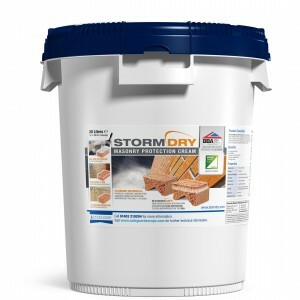 Stormdry is a WONDERFUL product! Terrific product to use. Easy to apply. You can see where you have covered. Trust the 25 year effectiveness is true.